To quickly start playing with a weboji, let’s click on the “Play with a Weboji” button. From there we access the record view, in which will be displayed our Weboji and the video feedback from the webcam. We also added a Youtube module; we’ll see a bit later in this article how it can be used creatively in our video clips. First of all, we should be prompted to give access to the app to our webcam and microphone. Without this authorization the web app won’t be able to use the video stream from the webcam to detect the face of the user and his emotions. Let’s allow the use for both video and sound. Our Weboji should now be displayed – bear in mind that the loading time might be affected by the quality of the network you are connected to. We can now play with our Weboji, and even select a different avatar that suits us better among the ones available. Another one of the features offered by our platform is the recording of short video clips. To record a video clip, simply press the Record button and release it once you’re done ! We can now name this clip and publish it. If you haven’t yet signed in and created our profile, you’ll have to do it now in order to publish a video clip. Once this is done, the web app takes us to our profile page, which lists all of the clips – or posts – that we created, or that we liked. You’ll see 3 buttons, from left to right, the Likes button, the Comment button and the Share button. FYI: the more a post is liked, shared and/or commented and the more it will be placed at the top of the “Hot” posts list ! 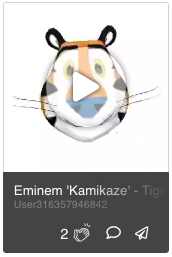 The Youtube module allows us to search for any music video, film extract or anything we can think of to make our clip funny, interesting or even crazy ! Whether we’d like to sing, rap or lip sync, the Youtube plugin is a great tool to record creative video clips. 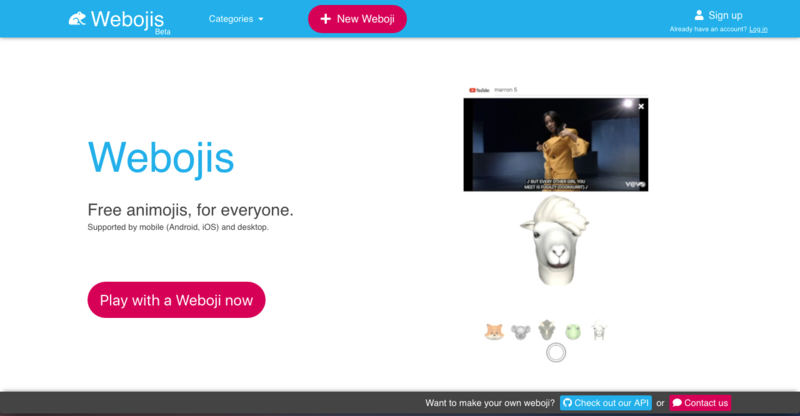 Go ahead and start playing with a weboji on webojis.jeeliz.com !